You know that image of a small, cosy room, crammed floor-to-ceiling with books? A room that's homely and warm, miraculously dust-free and a place you can escape to? 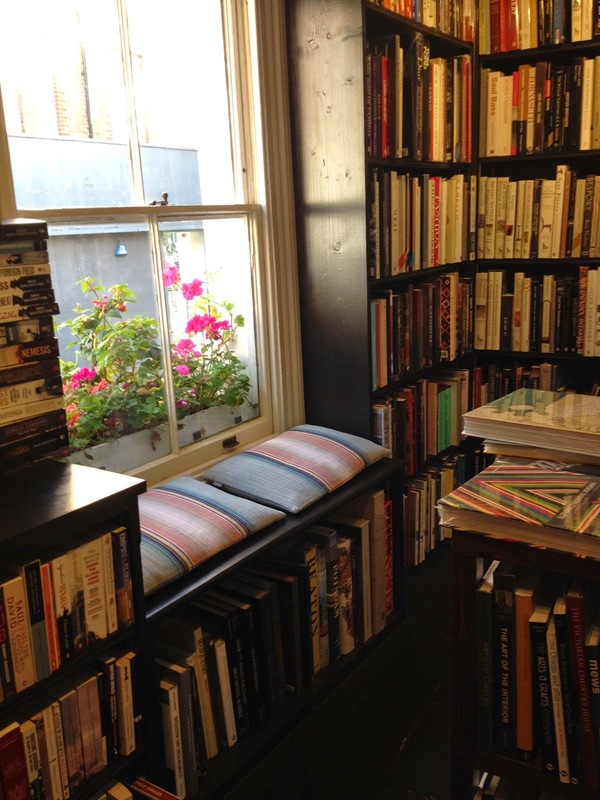 Well that unexpected – and wonderful – discovery is what you get if you wander upstairs to the fiction area of John Sandoe [Books] Ltd, found just off a very busy road in Chelsea. I only visited on a whim, having been recommended the place a mere 15 minutes previously by last week's bookshop as I rushed around London on my Books are my bag crawl, but I'm glad I did as it was the perfect place to hide from the modern world in a relaxing sanctuary of books. The bookshop itself isn't especially large, even if it feels quite spacious when you enter the central front door and find yourself in the middle of what looks to have once been three terraced homes, but for me wandering upstairs is what this place is about. At each end of the ground floor narrow staircases – themselves crammed with books – take you up to a series of three cosy rooms, crammed with books. And I mean crammed. Yes, there's enough room to move, but the fiction shelves are so well filled that movable cases slide in front of one another to allow for two sets of bookshelves (you can just about see in the photograph below). Books are also piled up along the walls, with every inch of space utilised for the love of books. So carefully is the space used that comfort comes in the form of a window seat to relax in the sun as you browse your options. 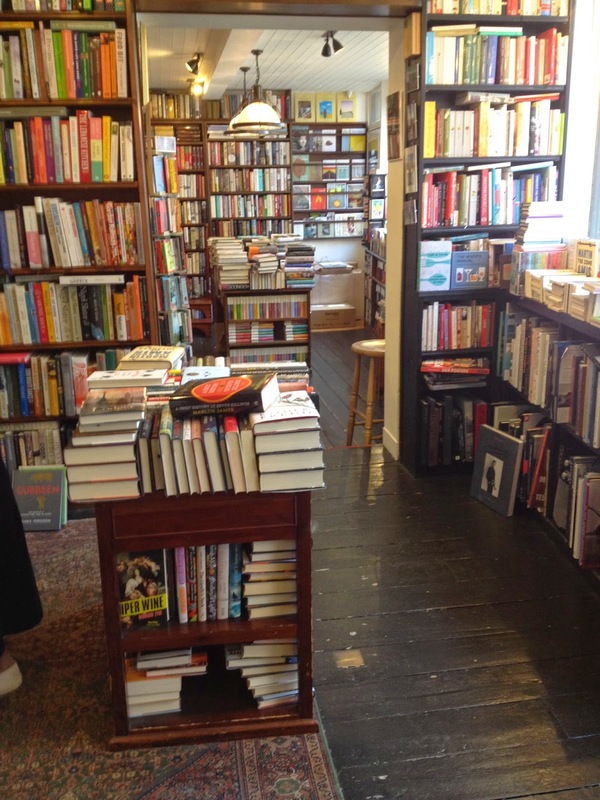 Although personally I enjoyed squeezing myself onto a step on the narrow staircase, quietly relaxing between a bannister and yet more bookshelves – until I realised I was blocking the way for other customers, thankfully they're book people so they were all very polite. Which the booksellers were too. I didn't get the chance to say more than a few words to them as the bookshop was pretty busy (it wasn't easy getting empty pictures), but listening to the buzz of conversation including recommendations and general friendliness emphasised that even in the middle of London this bookshop was part of a community. From John Sandoe I took away Howards End by E M Forster. More importantly, I also took away the memory of cosy, historic, relaxed, bookish heaven nestling in the middle of a modern city that never sleeps. Next time I need to escape I know where I'll be heading.